CIMC Intermodal Equipment turned its focus inward last year to look at all areas of our business to identify organizational improvements, strategies, and processes that would help us grow the expanding intermodal market while simultaneously focusing on exceeding our customer’s expectations with innovative designs and excellent customer service. and has become the operational backbone and the rallying cry of everyone at CIMC-IE. This continuous process and operational improvement the platform has identified 22 focus areas in the company from human resources, to marketing, to operations to mergers and acquisitions. As a result of laser focus the teams at CIMC-IE are working more than 140 initiatives across the country. 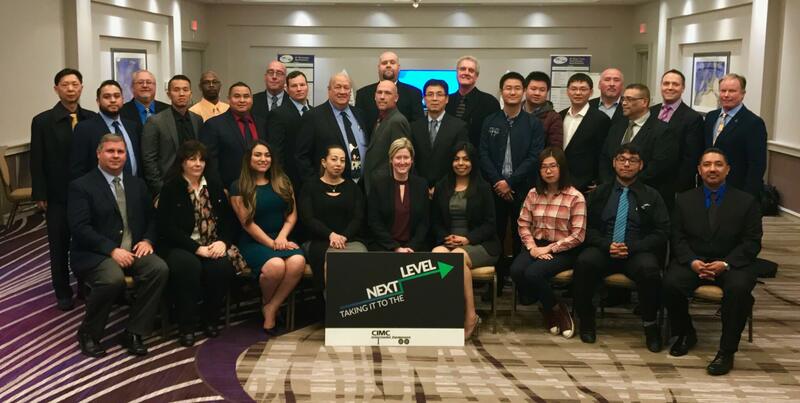 At our “2018 Kickoff Meeting” in December, presentations were made by each team outlining their department initiatives with steps on how they will Take Them to the Next Level. have already been placed in the completed category, while others are still being improved on or still evolving. “Six to Sixty” has now fully integrated into our daily operations, and into the daily lives of each department, with each initiative constantly evaluated and categorized as Completed, Improving, or Evolving. We installed internal communication systems to achieve fastest customer response and to encourage cross-team collaboration to drive continuous improvement within the organization, reduce costs, and enable creative and multi-faceted problem-solving. The upgraded Software system that modernized and streamlined our inventory management and invoicing system, with advances such as chassis in-gating and out-dating utilizing bar coding which increases productivity, improves accuracy, operational efficiency and reduces costs, which savings can then be passed on to the customer. 3. Sales and Marketing: Expanded our sales team to better serve our current and potential customers, with a focus on continued product training not only for the sales force but for all CIMC-IE employees. This has allowed our sales team to better dedicate itself to excellent customer service with our premium products in a growing market. CIMC-IE also completed a total rebranding rollout for the start of 2018 including a modern fresh new logo. We also expanded our outreach to our customers and new industries through a vast network of trade shows, conferences, transportation clubs and operational meetings.